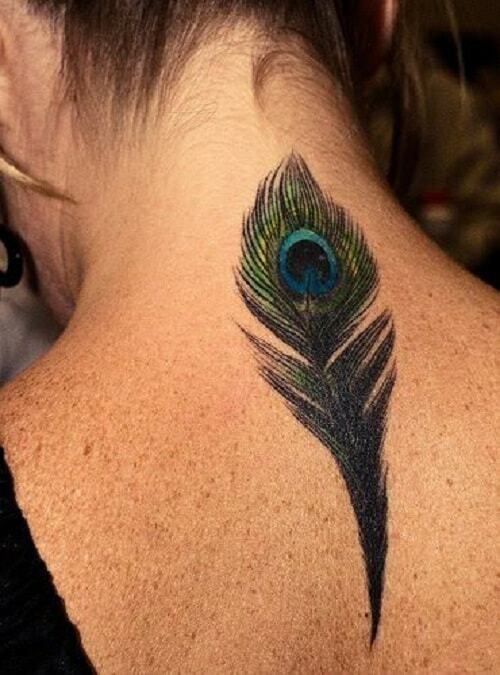 The primary aim of tattoo art is to grab attention besides having a symbolic value. 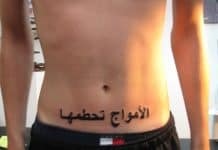 For this reason, it is essential for the tattoo enthusiasts to choose a design which is alluring as well as meaningful. 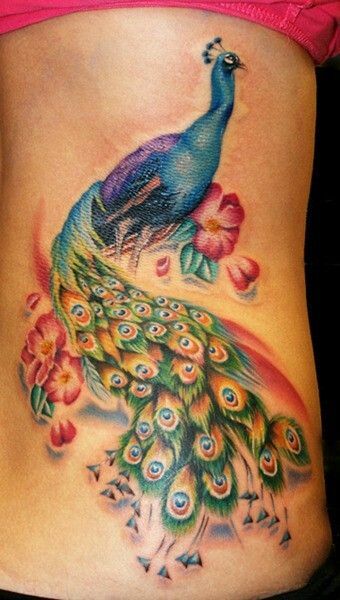 Peacock tattoos make one of the most alluring tattoo designs because they display the amazing colors of its tail and feathers to perfection. 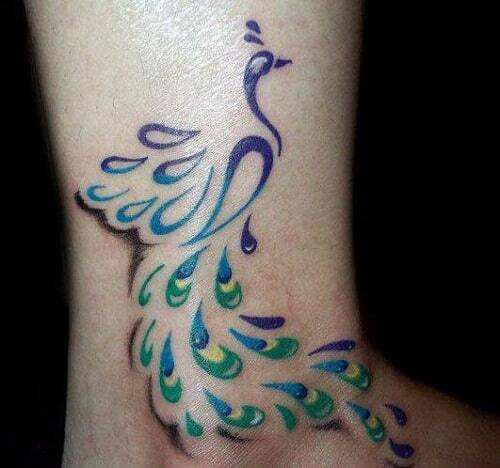 This tattoo design is a perfect one because it abounds not only in aesthetic beauty but symbolism too. A peacock is a male peahen, a beautiful bird which hails from India. This flying bird has an impressive color array in its feathers only in the male species and it occupies a place of importance in legends and folklore in cultures around the world. The peacock is the national bird of India and has a place of significance in the history of the country too, as the Great Emperor Shah Jahan sat on the Peacock Throne. As a result, this exquisite bird is associated with royalty and nobility. The country also has religious viewpoint for these birds as they are considered as the vehicle of Goddess Lakshmi, the goddess of prosperity and wealth. 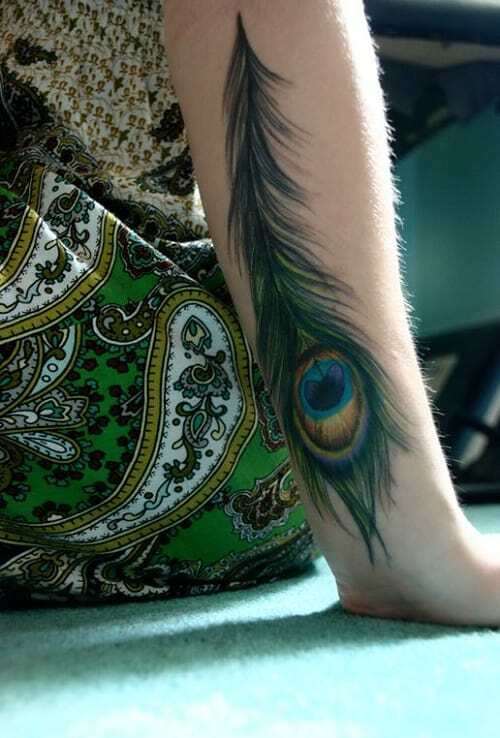 Lord Krishna also adorned a peacock feather on his forehead, a fact that gives reverence to this bird in the Hindu religion. 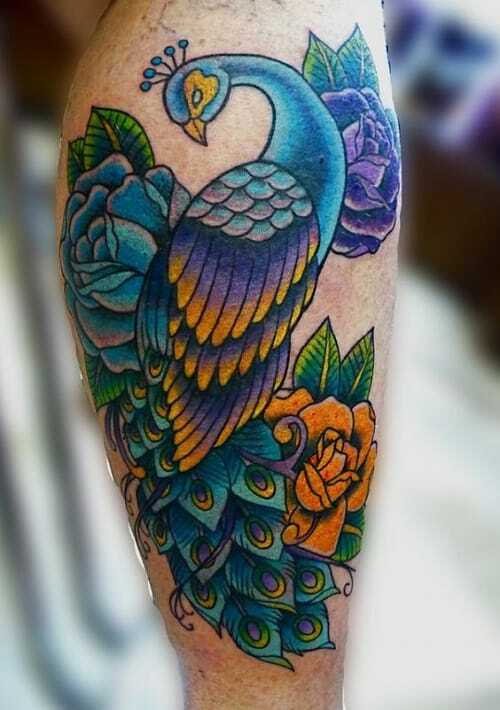 The Buddhist religion sees the peacock as a totem of honesty. In Christianity too, the bird has a great significance as the white peacock is seen as the symbol of Jesus Christ and the Church. In the Greek culture, the peacock is viewed in association with Goddess Hera, who was jealous of everyone more beautiful than her and for this reason, the peacock is usually seen as an egotist creature. Some cultures view peacocks as the birds of knowledge and wisdom. The Chinese culture sees peacock as the bird which brings good fortune for pregnant mothers. It is observed that peacocks shed their old feathers and replace them every year, a reason which leads the birds to be linked with renewal and resurrection. The bird is also known as a healing totem because of its ability to be unaffected by toxins, and this is why it is usually pictured fighting with poisonous snakes. 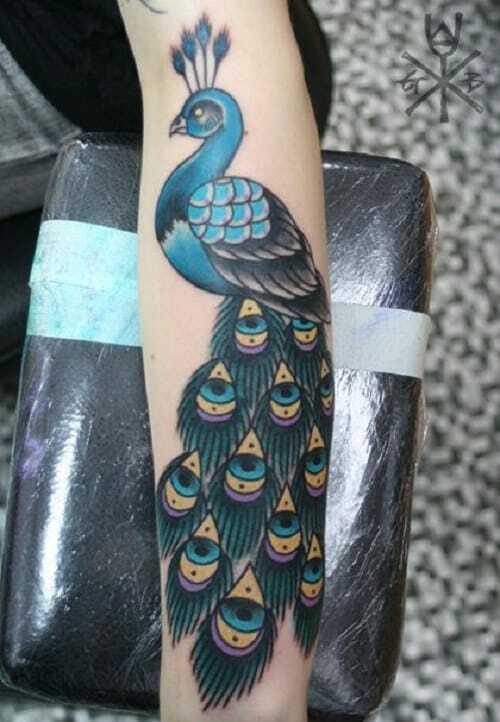 In addition to various meanings in history and legend, peacocks are regarded as symbols of beauty, sensuality, immortality, glory and refinement, while a white peacock signifies purity. 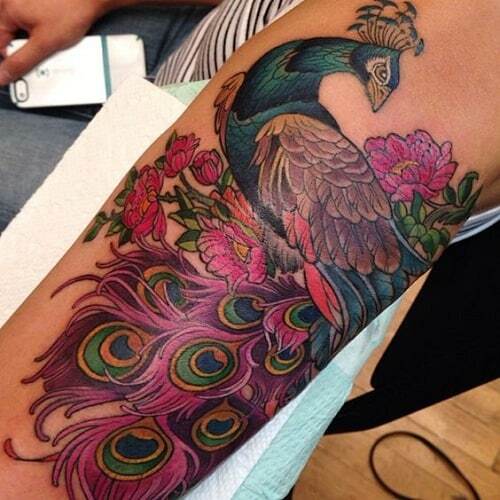 In addition to the symbolic value of the bird, the feathers of peacock have special meanings too. It is only the males who are endowed with these vibrant and attractive feathers and they use them to attract the females for mating purposes. The eyes of the feathers are regarded as the eyes of God in Christianity, while the Oriental culture sees them as eyes of Evil. 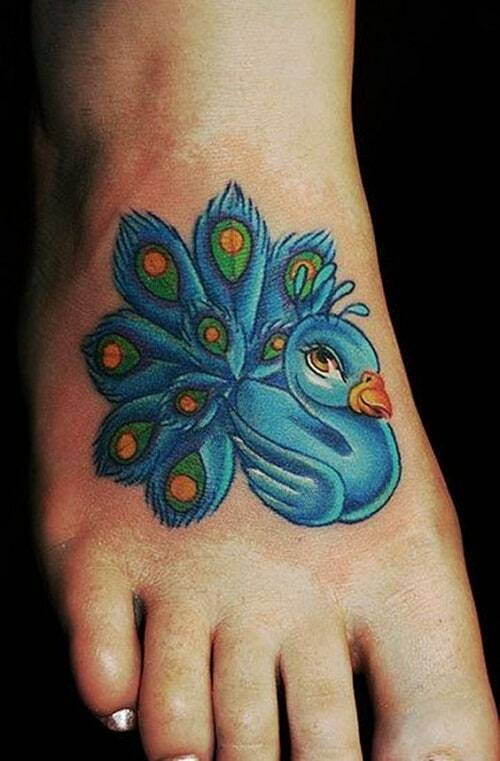 The interpretation of the peacock design carries a great variety and it is up to the tattoo bearer to read the meaning of the peacock tattoo as they want to. 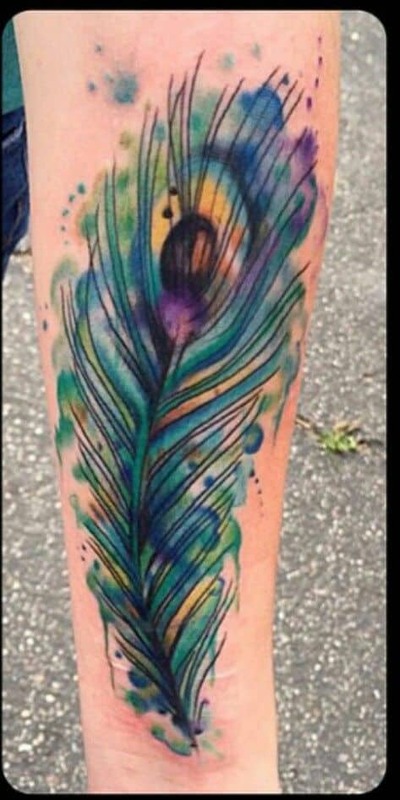 Tribal Peacock – One of the trending choices among modern tattoo lovers is tribal tattoos, which have managed to retain their attraction despite being centuries old. 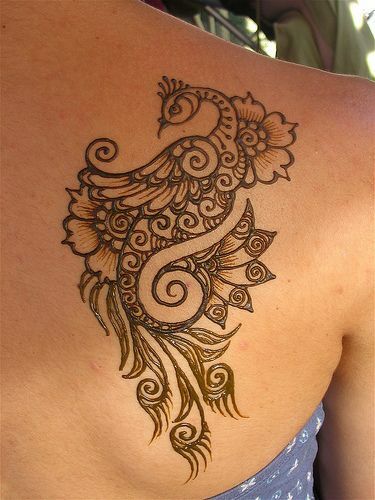 Bold lines and intricate patterns are the features of tribal tattoos, which help the artist bring out the best in peacock themed designs. 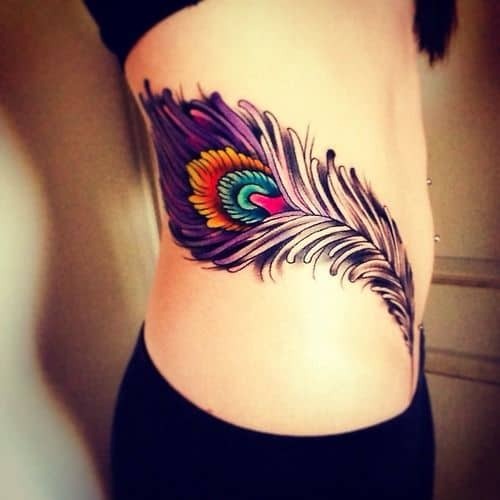 Peacock Feather Design – Instead of going for a design which features the complete picture of a peacock, one can opt for a peacock feather tattoo design, which has an amazing visual appeal, thanks to the vibrant colors in this wonderful creation of nature. 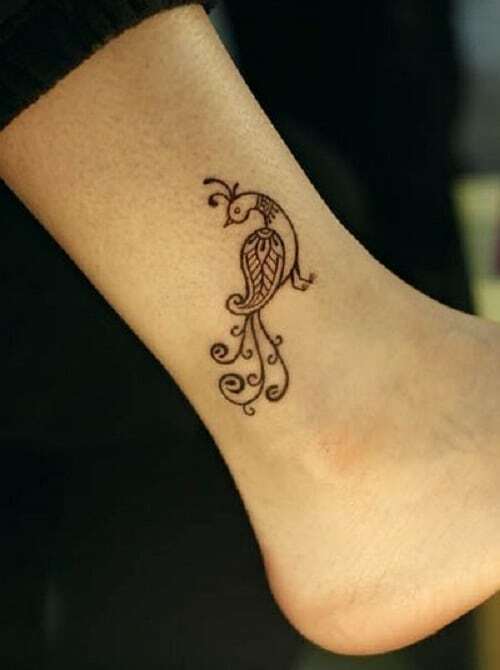 These feather designs need less time and space and look beautiful on shoulders, neck, wrists and forearms. 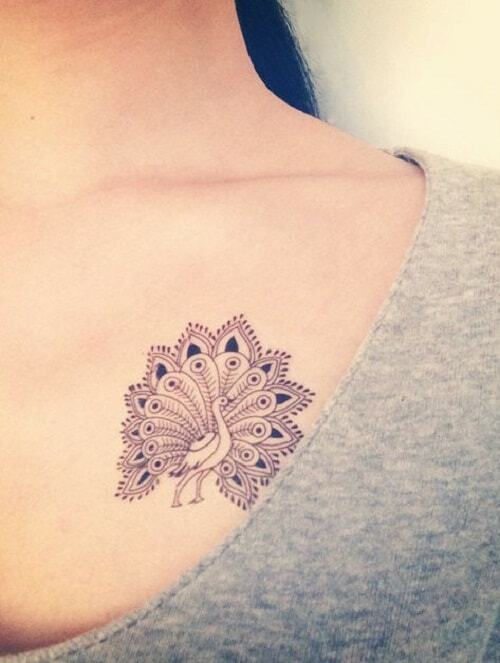 These tattoos have a feminine quality, which makes them a hit among women. White Peacock – A white peacock is a rare treat for the eye and is seen as a symbol of purity and spirituality in Christianity. 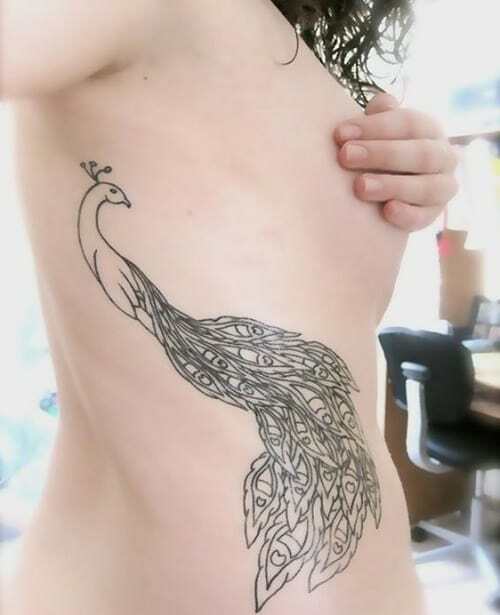 As a result, a white peacock art makes a cool option for those who want to profess their belief in the religion and also draw inspiration from it. 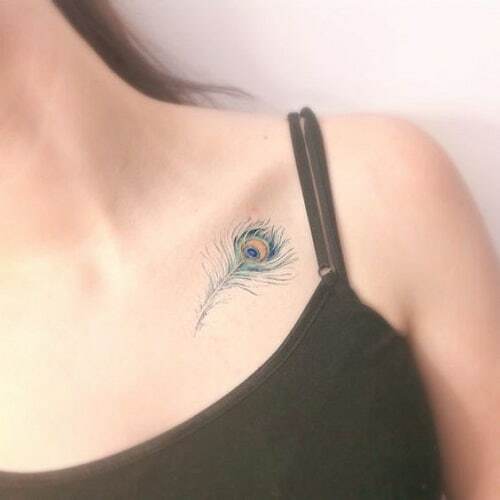 One thing that really matters for those looking to have a peacock tattoo inked is that they need to look for an expert artist to bring out the best in it. 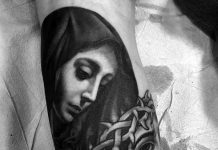 As we know that the design is always going to be intricate with great complexity in colors, the expertise of the tattoo artist is what matters to a great extent. Also, getting this design needs a great deal of commitment because it will take a lot of time to be inked and accordingly, it will be very painful too. StyleUp is a fashion and lifestyle blog mainly focuses on hairstyles, nail designs, tattoos, piercing and all things beauty for style inspiration.